This paper discusses Wittgenstein's take on the problem of other minds. In opposition to certain widespread views that I collect under the heading of the "No Problem Interpretation," I argue that Wittgenstein does address some problem of other minds. However, Wittgenstein's problem is not the traditional epistemological problem of other minds; rather, it is more reminiscent of the issue of intersubjectivity as it emerges in the writings of phenomenologists such as Husserl, Merleau-Ponty, and Heidegger. This is one sense in which Wittgenstein's perspective on other minds might be called "phenomenological." Yet there is another sense as well, in that Wittgenstein's positive views on this issue resemble the views defended by phenomenologists. The key to a proper philosophical grasp of intersubjectivity, on both views, lies in rethinking the mind. If we conceive of minds as essentially embodied we can understand how intersubjectivity is possible. Overgaard, S. (2006). The problem of other minds: Wittgenstein's phenomenological perspective. 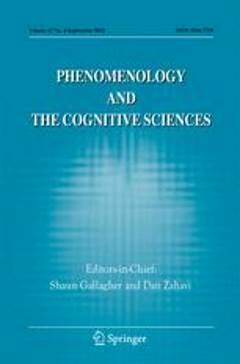 Phenomenology and the Cognitive Sciences 5 (1), pp. 53-73.